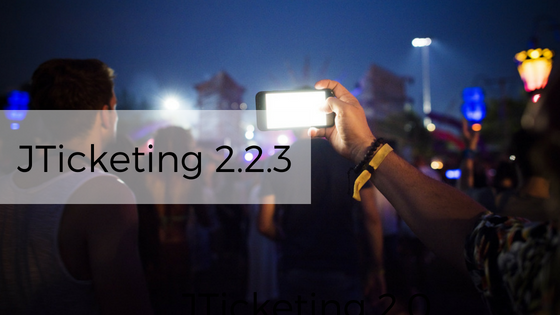 JTicketing 2.2.3 has been released. This is primarily a bug fix release. We recommend you to upgrade to the latest version as soon as possible. Do read the release notes before upgrading to the latest version. Bug #130493 - Mail is not getting sent to the user after waiting status is cleared.